This Canon FD 85mm f/1.2 L Aspherical Floating-Element lens was the most advanced 85mm manual-focus lens ever sold when it was released. It's way beyond anything ever from Nikon or LEICA. It's got more technology in it than anywhere else, and more importantly, has out-of-this world performance. This is why it's so sought-after by astronomers; it's super-sharp even wide-open at f/1.2. It also has very little distortion. 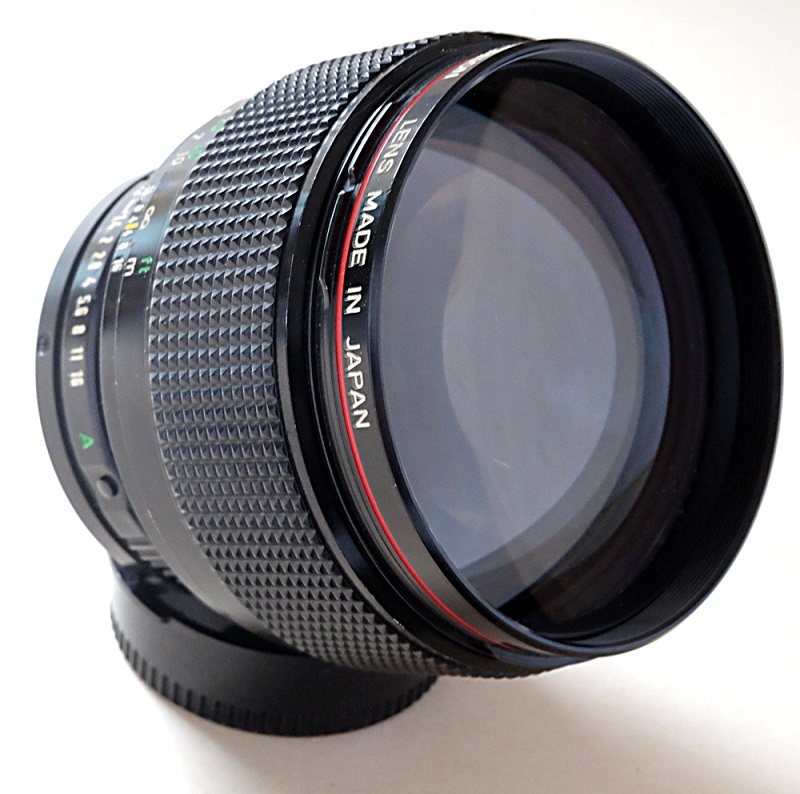 This was one of Canon's top flagship lenses before the entire FD line was trashed in 1987 in favor or the EOS autofocus system.